You can sign up for Webinar Ignition by Clicking Here! (Yes – this is my affiliate link). The current price is $97 for a one site license. This is a one-time fee – there are no monthly or recurring fees. Webinar Ignition: Quick Start – this is a free eBook. It links to a short video that walks through how you set up a Webinar in Webinar Ignition and has a link to a tow page Webinar Ignition: Checklist document. Webinar Ignition: Complete – this eBook is $29.95. It covers the entire system with screen shots showing you each step. It covers a few of the issues (and solutions) I experienced in originally setting the system up and getting integration with outside free email and SMS text providers. Comparison #2 – ’till I run out. Rather than go through each category – let’s just look at them in a table. GoToWebinar wins in the areas of ease of use and live interaction with viewers. GoToMeeting is better at interacting with lots of viewers during a presentation. Webinar Ignition is easy to use once you have it set up, but still requires a little more “Click here”, “Turn this on”, “Copy and Paste this link there” to start a webinar. 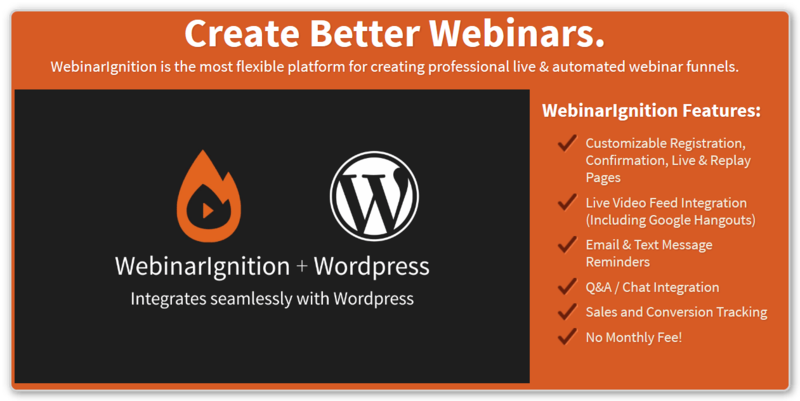 Webinar Ignition wins hands down on price. Webinar Ignition is better when dealing with 10 or less viewers and acceptable for larger groups. Without going to extreme pricing, GoToWebinar is limited to 1,000 viewers. 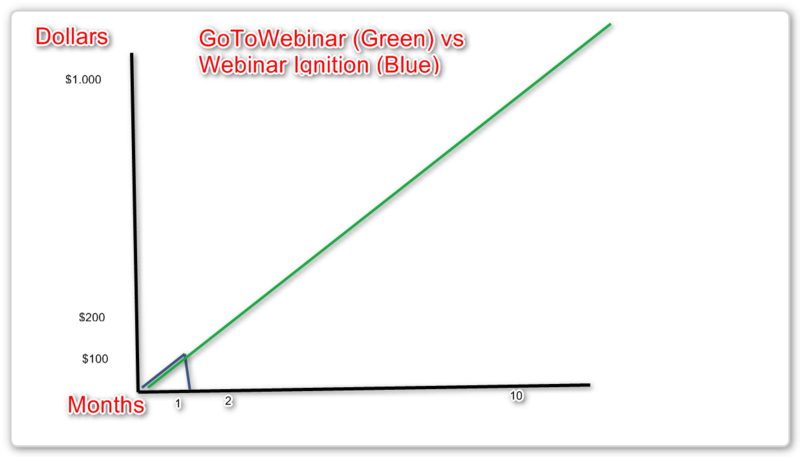 Webinar Ignition may have a limit, but it will be huge (over 10,000). Post Production goes to Webinar Ignition – they are automatically on the web with a replay screen set up. Marketing also goes to Webinar Ignition – they have worked hard to give marketers Buy buttons and Give-Away buttons built right into the system. Potential Improvements – Webinar Ignition is built as a wrapper around Google Hangouts (and other streaming video systems). There are new features being added all the time. I’m happy with Webinar Ignition and plan to use it as my platform of choice.